I recently wrote a post for mom.me, sharing my favorite kitchen hacks – many of which you’ve seen here! – and it reminded me of a couple more I have up my sleeve! Because you never slice just one or two grape tomatoes, amiright? 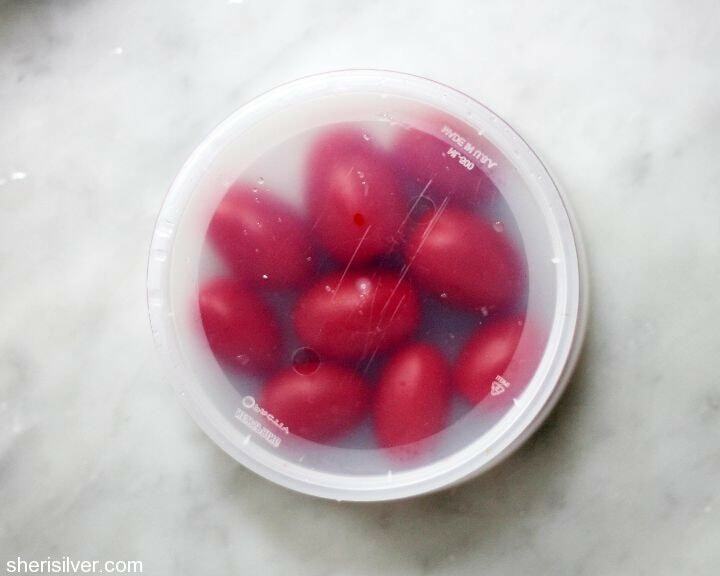 Place as many tomatoes as will fit in a single layer in the lid of a deli/take-out container. Place another lid on top. Place one hand gently but firmly on top of the stack, to keep things from moving around. 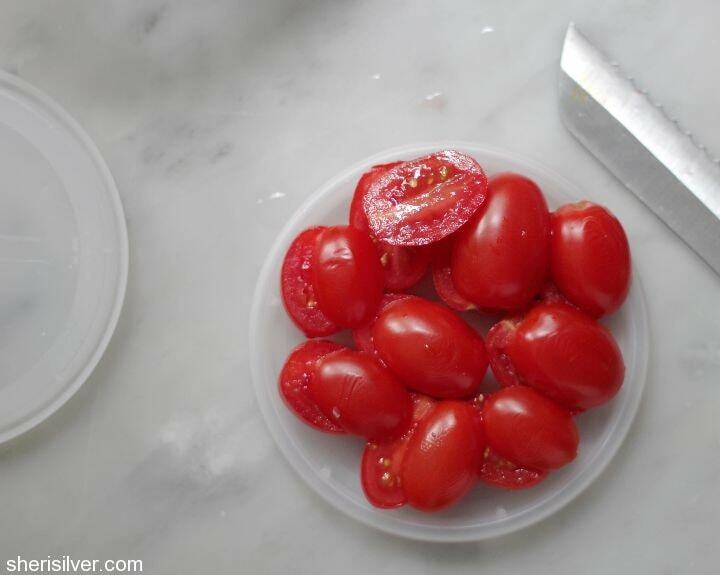 Then, using a long serrated knife and a sawing motion, slice the tomatoes in half. Voila! You’ve just made short work of a pesky task! 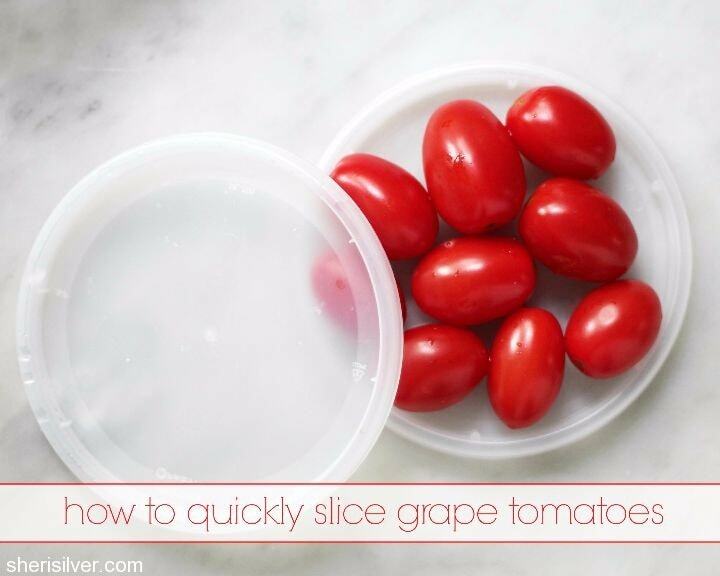 This works equally well on cherry tomatoes, and if you’re still slicing grapes for your littles, that’ll work too. I just love your quick hacks. I’m always impressed.